We’ve selected the best places to stay in North Wales, including luxury hotels, boutique hotels, budget hotels, restaurants with rooms and pubs with rooms. 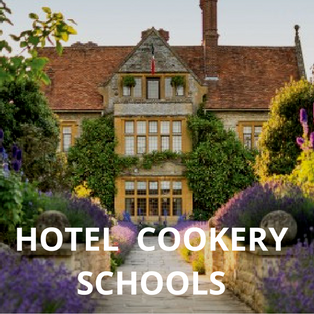 With rates provided by our Booking Partners, you can check availability and book. This is a little Welsh gem. Y Meirionnydd is a restaurant with rooms known for its friendly vibe, elegant interiors and great food. It’s warm, welcoming and beautifully decorated. There are Farrow & Ball paint colours on the walls, beautiful Welsh throws, pretty Jane Churchill fabrics, soft bed linen and White Company bath products. The hotel’s location in the granite and slate town of Dolgellau means it’s well placed for exploring Cadair Idris and southern Snowdonia. Warming up in the bar with a drink after a day spent in the outdoors is a real pleasure. Surely one of the loveliest places to stay in North Wales. One of the best areas to stay in North Wales is the Llyn Peninsula – designated an area of Outstanding Natural Beauty, it’s known for its wonderful coastal walks and beautiful beaches. 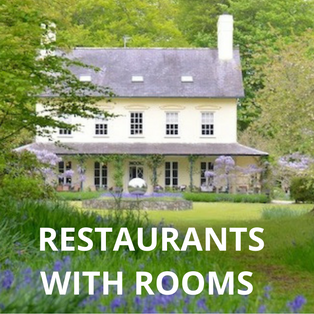 Food lovers ‘in the know’ take their taste buds (and their dogs), for a short break at Plas Bodegroes, an award-winning country house restaurant with rooms. An elegant and charming hotel, it’s nestled amongst woodland and carpeted by a sea of bluebells in the spring. Rooms are comfortable and traditionally furnished. An ideal romantic getaway. Located just off the main square in the heart of historic Ruthin, known for its black and white medieval buildings, is the Manorhaus restaurant with rooms. The handsome Grade II listed Georgian townhouse has 8 en-suite bedrooms all with their own unique design. 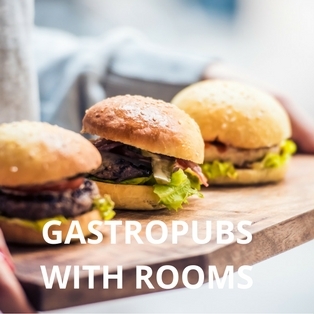 In the restaurant – enjoy relaxed dining, contemporary dishes and local produce. Guests can also unwind in the hotel’s sauna and steam room. The historic market seaside town of Conwy makes a good base for exploring Snowdonia and its surrounding area. Visitors come to see the town’s magnificent castle and ancient city walls (both are a UNESCO world heritage site). In the autumn it becomes a mecca for food lovers visiting the Conwy Feast. Stay at the Castle Hotel, an old coaching inn and you’ll be at the heart of it. Ask for a room with a view of the castle and the quayside. There’s a popular bar and both relaxed and fine dining options. It’s dog friendly, too. Tucked away behind the ramparts of Harlech Castle is one of the best restaurants with rooms in Wales. Castle Cottage has been offering guests a warm welcome, award-winning food and friendly hospitality for over 27 years. Tasty traditional dishes created using the best local produce are what it does best. Rack of Welsh lamb, Brecon venison and lobster from Shell Island, are all regulars on the menu. If you’re looking for somewhere small and intimate, stay here in one of their spacious and well-appointed guest rooms. Just make sure you leave enough room for breakfast the next day. A great little find. If you love sweeping sea views and long walks by the sea, this farmhouse B&B, perched on a hill, is a tranquil place to stay in North Wales. Accommodation is in renovated barns and in the farmhouse itself. The location is well placed for exploring the old fishing village of Barmouth and local attractions including Portmerion Village, the Ffestiniog Railway and Snowdonia. A place for enjoying warm hospitality, tasty food and views across to the Llyn Peninsula. Bodysgallen Hall is a luxury hotel with history. This 17th-century restored country mansion is surrounded by 200 acres of parkland and stands on a hill overlooking Llandudno. It is one of the few hotels run by the National Trust. Guests who stay here can relax in the spa, explore the beautiful gardens with its follies and admire the wonderful views of both Conwy Castle and the Snowdonia mountain range. Expect country house hospitality, roaring fires, paintings and antiques. Accommodation is provided in 15 traditionally furnished bedrooms and 16 pretty cottages in the grounds. Over 10 years ago, the Escape Boutique B&B put Llandudno firmly on the map for trendy city slickers. Described by travel writer, Bill Bryson, as his ‘favourite seaside resort’, Llandudno has been undergoing a revival in recent years. Head to North Wales for a weekend break by the sea and stay at this hip and contemporary B&B. The Victorian villa has 9 individually designed and colourful bedrooms each with cheeky names such as The Boudoir and Retro Red. For beach hut chic, stay in the Coastal room with its deckchair stripes. Expect oversized headboards, huge beds, walk in showers and luxury touches such as Bose iPod docks. For over 500 years this characterful old coaching inn has been welcoming visitors to the Isle of Anglesey. It’s located in the pretty seaside town of Beaumaris with its medieval castle, cafes, restaurants and art galleries. Nowadays travellers can book a room for the night at the inn (traditional and cosy) but also in the adjacent Townhouse (trendy and contemporary). Hypnos beds, Egyptian cotton sheets and Nespresso machines provide a touch of luxury. On the menu – the area’s abundant local produce including fresh crab and mussels from the Menai Strait. Hikers and bikers come to stay at The Slate Shed B&B for a taste of wild Wales. Surrounded by thick woodland and with spectacular views across the estuary, you’ll be guaranteed a peaceful night’s sleep. In the morning, take your pick from several walking and cycling trails. Accommodation is provided in cosy rooms but also cottages and yurts on the adjoining campsite. After a day exploring the great outdoors, relax in the lounge next to the woodburner with a drink from the honesty bar. Stay in an historic country house hotel with royal connections. Dating back to the 1600s, Plas Dinas was once the family home of Lord Snowdon. When she married him in 1961, Princess Margaret became a regular visitor to the house. Original family portraits, memorabilia and Lord Snowdon’s photos are dotted around the house. There are 9 guest bedrooms and a self-catering cottage. You get to stroll in 15 acres of grounds, admire the views of the Snowdonia mountain range and enjoy homely hospitality.